First Nations Dialogues is a 3-year Australian and North American Pilot program to establish a Global Indigenous touring network and platforms for the presentation of Indigenous performance work. Led in Australia by BlakDance, in partnership with a global Indigenous performing arts consortium, First Nations Dialogues has been initiated and led by Indigenous artists and organisers from the US, Canada and Australia. It is designed to create new opportunities for production and dissemination of work internationally, to overcome the historic under-representation of work and a dearth of support for artistic exchange between Indigenous communities globally. We build on four years of convening and conversation within formal and informal networks in the Indigenous and non-indigenous performance sectors. We build on forty years of vibrant dialogue between Australian Aboriginal and Torres Strait Islander and First Nations North American contemporary theatre and dance leaders. a series of Indigenous led performances, discussions, workshops and ceremony. First Nations Dialogues 2019 kick-started the development of the groundbreaking Global First Nations Performance Network (GFNPN). The GFNPN is a pilot initiative focused on cultural change through commissioning, touring and presenting Indigenous performance, building demand and capacity for the presenting sector. The First Nations Dialogues 2019 was in partnership with The Lenape Center, Amerinda, American Indian Community House, Abrons Arts Center, American Realness, Danspace Project, Gibney Dance, La MaMa, Performance Space New York, Safe Harbors Indigenous Collective, Under the Radar, the Association of Performing Arts Presenters (APAP), and the International Society for the Performing Arts (ISPA). 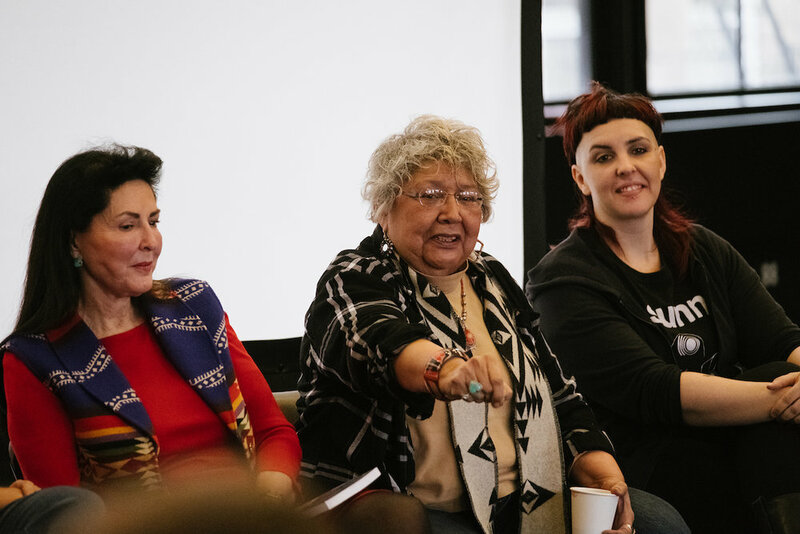 The First Nations Dialogues has been initiated and led by Indigenous artists and organisers from the US, Canada and Australia in order to support Indigenous performance work. It is designed to create new opportunities for production and dissemination of work internationally, to overcome the historic under-representation of such work in the US and a dearth of support for artistic exchange between Indigenous communities globally. First Nations Dialogues 2019 was organised by; Emily Johnson, Vallejo Gantner and BlakDance. Led by a transnational consortium of Emily Johnson/Catalyst (USA), Vallejo Gantner (USA), BlakDance (Australia), Jacob Boehme (Australia), ILBIJERRI Theatre Company (Australia), Indigenous Performing Arts Alliance (Canada) and is creating the Global First Nations Performance Network (GFNPN). Hosted by First Nations Dialogues with The Lenape Center, presented at Danspace Project. First Nations Dialogues commences in Lenapehoking, the Lenape homeland; through protocol and ceremony, welcoming global First Nations leaders, artists and our allies. The afternoon honours leaders and grandmothers of Indigenous theatre: Muriel Miguel and Gloria Miguel of Spiderwoman Theater and Diane Fraher (Osage/Cherokee) of Amerinda. The SilverCloud Singers will be led by Kevin Tarrant of the Hopi and HoChunk Nations; with performances by Laura Ortman of the Apache Nation; fancy shawl dancer, Anatasia McAllister of the Colville Confederated Tribes and Hopi Nation; Brent Michael Davids of the Stockbridge Munsee community; round-dance led by Lenape drummer George Stonefish. Feast generously prepared by Anne Apparu. The First Nations Dialogues acknowledges with great gratitude the naming of this gathering, Tëmikèkw. We pay respect, offering gratitude and solidarity to Lenape people, elders, and ancestors past, present and future. The GFNPN will develop institutional and audience demand for Indigenous live performance and the commissioning, presentation and development of those artists. brokerage and information services between artists and institutions. By invitation only. Closed work sessions for presenters in the GFNPN, First Nations Artists and stakeholders. KIN curated by Emily Johnson is produced by Performance Space New York in partnership with First Nations Dialogues, BlakDance, Global First Nations Performance Network, and American Realness. Supported by the Barragga Bay Fund with additional support by the Australian Government through the Australia Council for the Arts, its arts funding and advisory body. KIN centres radical forms of care, consent, reciprocity, and love. For KIN, Johnson invites five First Nation Australian artists and local NYC-based elder Muriel Miguel from the Kuna and Rappahannock Nations to share performance works and related conversations, engaging practices of kinship and power. These artists and their Indigenous knowledge systems work through generosity and acknowledgment of present and past to transmute injustice and grief. They offer a commitment and ask for participation toward a shared, healing future. Featuring Mariaa Randall, Genevieve Grieves, Paola Balla, Emily Johnson, Muriel Miguel, Joshua Pether, and S.J Norman. 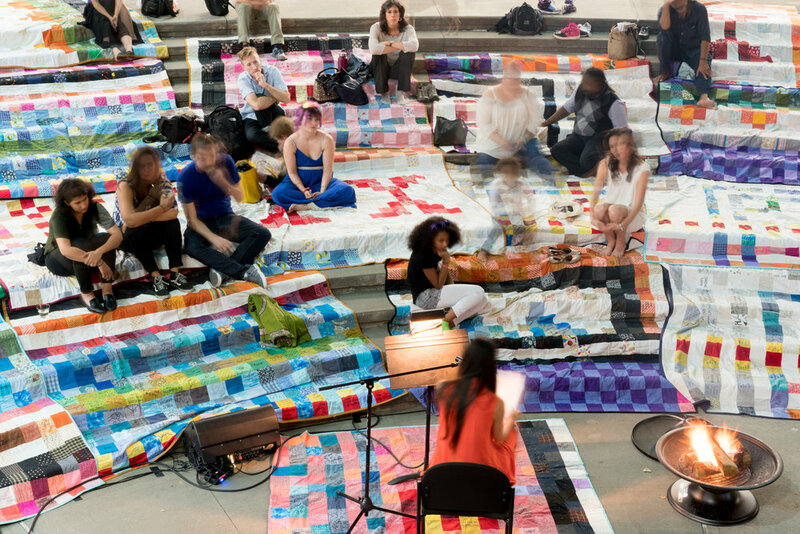 For the 2019 Discourse series, American Realness and the Yale journal Theater have co-commissioned five original lecture performances addressing questions of creative practice and protest. Curated by Tom Sellar, the collection of lecture performances titled Bodies on the Gears will be published in a forthcoming edition of Theater. The artists and writers include Dr. des. Nana Adusei-Poku, Noah Fischer, Madison Moore, Jackson Polys, and Karyn Recollet. Co-commissioned by American Realness and Yale's Theater Magazine, presented by Gibney, in partnership with First Nations Dialogues and Global First Nations Performance Network. This gathering activates ‘kinstillatory’ as an ethic and mode of survivance for Indigenous gathering that evokes futurist gesture of embodying dark matter (our own between spaces) that are the building blocks for kin-in-the-making. What are the desired intentions, ethics, practices and forms of a kinstillatory gathering in Lenape territory? What are the connecting tissues (the dark matter) of an alternative land pedagogy based upon urban Indigenous folx land relations. We explore the practices and protocols of kin-ing, land-ing and involved in the conceptualisation of ‘Choreographies of the fall’ (Recollet, 2018). This experience provides an opportunity to share and exchange knowledges and vocabularies (gestural, movement based and other arts informed practices) for the celestial in the body; and in our gatherings. Gibney dance classes offered in partnership with First Nations Dialogues and Global First Nations Performance Network. Vicki Van Hout is an Australian First Nations interdisciplinary contemporary performance maker of Wiradjuri, Dutch, Afghan and English descent whose disciplines include dance, film and instillation. Vicki is a graduate of the National Aboriginal Islander Skills Development Association College of Dance (NAISDA), Australia’s premier Indigenous tertiary dance institution and the Martha Graham School of Contemporary Dance NYC. Vicki considers her most memorable engagement as one of the performer/choreographers for the first Indigenous opening of Parliament preceding the national apology to the stolen generations in 2007. Vicki's class consists of a dynamic progressive sequence of exercises reflective of diverse Australian Indigenous vocabularies including those languages developed from both desert and coastal remote communities. The premise of flight or fight is a major underpinning principal and expressed through various stomps and quick shifts of weight with tasselled extremities reflecting the use of various costume properties. 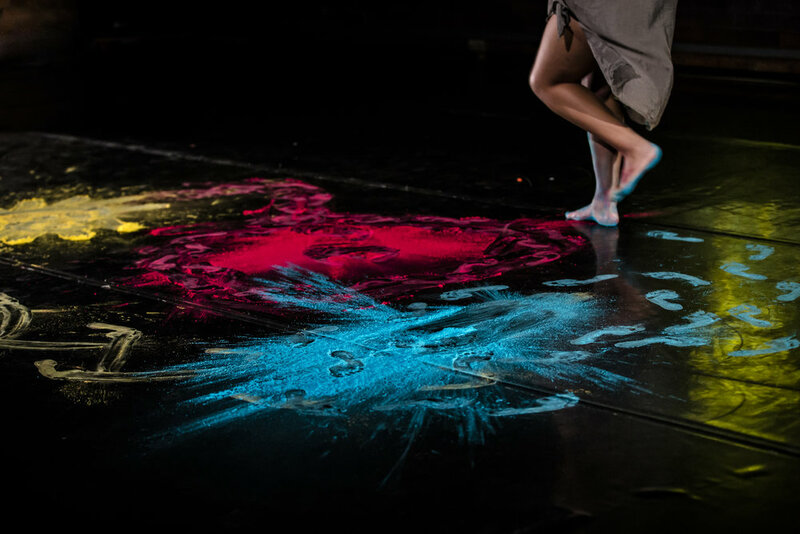 This distinctive language has been the primary aesthetic underpinning recent NAISDA graduates, many of whom have secured places with Bangarra including Wanengga Blaco, Ryan Rearson and Beau Dean Riley Smith and by notable Australian independents including Thomas Kelly, Caleena Sansbury, Henrietta Baird and Raghav Handa. Thomas E.S. Kelly is a proud Bundjalung Yugambeh, Wiradjuri, Ni-Vanuatu man. Thomas graduated in 2012 from NAISDA Dance College and has since worked with the likes of Vicki Van Hout, Shaun Parker and Company, Branch Nebula, ERTH, Chunky Move, Outer Urban Projects and Urban Theatre Projects. Thomas is currently a member of the Tasdance Makers Company. H is choreographic credits include his Green Room Award winning work [MIS]CONCEIVE, VESSEL for Outer Urban Projects and SHIFTING > SHAPES. Thomas' class will introduce you to earth and your connection to it physically, spiritually, emotionally. You'll walk, run, dance, jump, sweat, have fun and learn. Thomas feeds Indigenous thought processes into a movement vocabulary that asks you to draw energy from the world around you whilst being highly physical. Katina Olsen is a proud Wakka Wakka and Kombumerri woman who also has Norwegian, German and English ancestry. Katina’s choreographic interests interrogate her Indigenous cultural dance and story through various forms including theatre, moving sculpture, film and installation. Katina’s class is a bit of old school and a bit of new school: joyful moving sequences, finding breath and connection to the earth, encouraging fluidity of the spine. Katina creates a playful class that makes you sweat and is a pleasure for body and spirit. THE SAVAGE PHILOSOPHY OF ENDLESS ACKNOWLEDGEMENT, Whitney Museum June 13, 2018. Performer Jeremy Pheiffer. Photo by Paula Court. Given our readymade settler colonialism as a public secret, that when probed, amplifies the proliferation of attendant fears that create sites of paralysis — quagmires of cultural appropriation, occlusion, imposter syndrome, inappropriate speech and empathic overreach — what routes for the production of movements can escape impinging on Indigenous bodies and their accomplices? Summoning red flags, Jackson Polys, supported by a host of proxies in a multimedia lecture performance, targets the aporias formed by desiring indigeneity. Presented by La MaMa Experimental Theatre Club through La MaMa’s Indigenous Initiative Safe Harbors Indigenous Collective; with First Nations Dialogues. An informal reading of plays by First Nations artists including legendary Spiderwoman Theater led by Muriel Miguel and Glorial Miguel of the Kuna and Rappahannock Nations; poet, playwright, and scholar Carolyn Dunn who is of Cherokee, Muscogee Creek, Seminole, Cajun, French Creole, and Tunica-Biloxi descent; Ed Bourgeois, who is French and Mohawk, managing director of PA'I Foundation, a Honolulu-based hālau hula and co-creator of Raven's Radio Hour and Alaska Native Playwrights Project; Kuna/Rappahannock/Hopi/HoChunk artist, actor, singer and songwriter Henu Josephine Tarrant; Australian actor, narrator and director Rachael Maza Artistic Director of ILBIJERRI Theatre Company, Yidinji from North Queensland and Meriam from the Torres Strait Island of Mer; and Choctaw/Creek/Delaware playwright Nicholson Billey. The Downstairs. 66 East 4th St. Presented by La MaMa Experimental Theatre Club and American Realness in partnership with First Nations Dialogues, Global First Nations Performance Network and supported by the Council for Arts and Letters of Quebec, the Canada Council for the Arts. Serpentine vibrates the essence of Daina Ashbee’s dark and feminine choreographic practice. Exploring the occupation of space, time and attention, the cathartic work is based on repetition and instance. With simple imagery, slow and sensual movement and a disturbing and powerful original electric organ composition by Jean-Francois Blouin, Serpentine creates a haunting juxtaposition that escalates in its violence. Performed by Areli Moran. Presented by Abrons Art Center in partnership with First Nations Dialogues, Global First Nations Performance Network and International Society for the Performing Arts (ISPA). A ceremonial fire outdoors in the amphitheater at Abrons Art Center centering Indigenous protocol and knowledge. Sit by the fire and welcome the evening with neighbors, stories, song, dance, and food (bring some to share). The fire for First Nations Dialogues includes performances by Allison Akootchook Warden, an Iñupiaq new genre artist; Brent Michael Davids, Lenape composer; Dåkot-ta Alcantara-camacho whose work spans ritual activation, performance art, installation, contemporary indigenous movement, and cultural responsibility; and Thomas E.S. Kelly, a Bundjalung-Yugambeh/Wiradjuri/Ni-Vanuatu multi-disciplinary artist and choreographer. Food generously prepared by Quentin Glabus, Frog Lake Cree First Nations from Alberta, Canada and member of I-Collective. Emily Johnson gratefully acknowledges Karyn Recollet's work in the concept of kinstillatory. Hosted by First Nations Dialogues with The Lenape Center at Bear Mountain. Invitation to all First Nations Dialogues delegates, ceremony conducted by representatives from The Lenape Center. Barragga Bay Fund; BlakDance; Australia Council for the Arts; Arts Queensland; Creative Victoria; Native Arts and Cultures Foundation; Jerome Foundation; Amerinda; Canadian Heritage, Canada Council for the Arts, Consulate General of Canada in New York, Map Fund supported by the Doris Duke Charitable Foundation, the International Society for the Performing Arts (ISPA) and the Andrew W. Mellon Foundation.